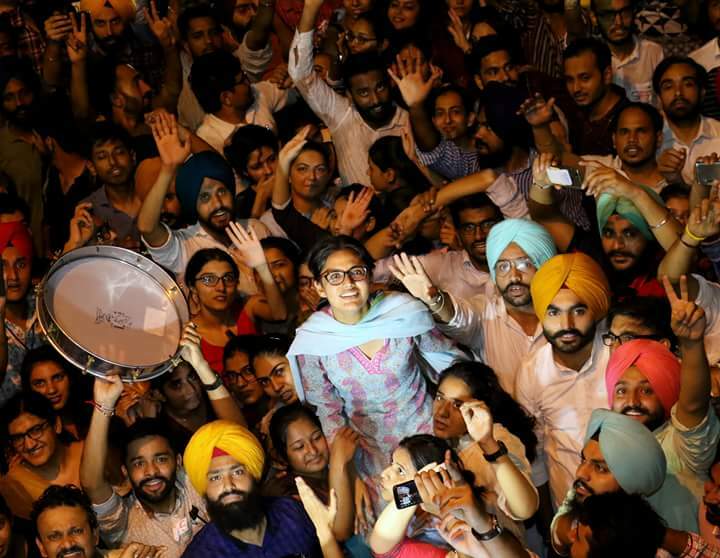 History was created on 6 September 2018, after the Panjab University election results. It is for the first time that a woman president of the Panjab University Campus Students’ Council (PUCSC) is elected. A member of Left-leaning student body Students For Society (SFS), Kanupriya, 22, will take a lead from now on. Defeating five male candidates of various parties such as Akhil Bharatiya Vidhyarthi Parishad (ABVP), Students Organisation of India (SOI), National Students Union of India (NSUI), Panjab University Students Union (PUSU) and Punjab Students Union (Lalkaar), Kanupriya established the SHE power. Over 15,000 students presented the votes to elect the four office-bearers of the Panjab University Campus Students’ Council (PUCSC). A total of 21 candidates competed for the posts of president, vice-president, general secretary, and joint secretary. With six candidates on the list for the top post, it also included a girl candidate from the Students for Society (SFS). Meanwhile, 43,000 students also elected their representatives in the student councils of nine other colleges in the city. Kanupriya, 22 from Students for Society turned the history to the left. From the department of Zoology she is the new president who secures 2802 votes. Vipul Atray, 19 (National Students’ Union of India) is from the UIET Department. With a total of 2357 votes, we have the new joint secretary.